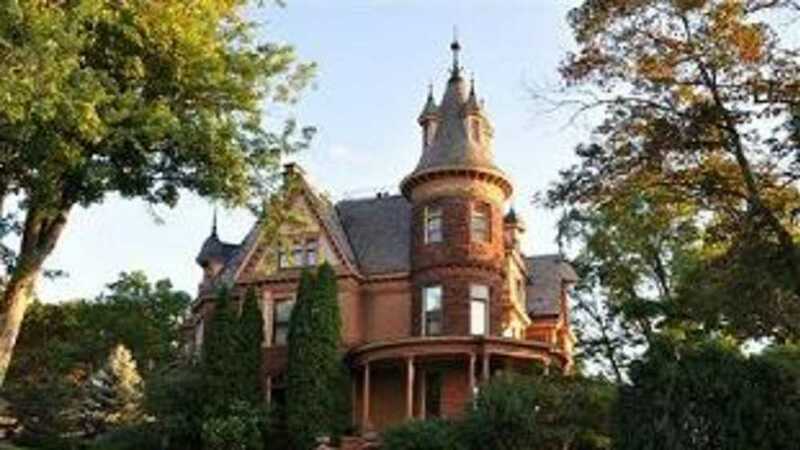 Welcome to The Henderson Castle, the most popular bed and breakfast in Kalamazoo. Whether you're local or coming from Grand Rapids, Detroit, Lansing, South Bend or Chicago, you'll find us to be the best destination for your anniversary, birthday, wedding, graduation or romantic getaway. Situated in the historic West Main Hill neighborhood, you’re minutes away from the theatres, shopping and vibrant night life of downtown Kalamazoo. Get a massage, facial or manicure in our day spa. Soak in our rooftop hot tub while taking in the best view of downtown Kalamazoo that’s available. Stay for dinner at our restaurant and indulge in the finest French food southwest Michigan has to offer. Why settle for a hotel - instead experience luxury fit for a King or Queen. In addition to the bed and breakfast, restaurant and spa, we offer a banquet hall and ball room. Our daily tours, princess tea parties, murder mystery dinner party and high tea are fun things to do in Kalamazoo. In the pure French tradition of a wine maker in Bordeaux, the Henderson Castle is proud to announce the completion of our wine cave: a beautiful underground room cut into the hill near the castle connecting to the remains of the old tunnel. The wine cave is complemented by a large patio and sky deck with a view of the orchard and vineyard where we grow the organic fruit used in our wine and jams. We currently feature six varieties of wine.